“Brawl in the Family” Playing Cards (Bitf Cards) were created by the American comic artist and writer, Matthew Taranto. The deck is some type of by-product of his parody comic strip dedicated to adventures of many famous Nintendo characters that have appeared in the Smash Bros games. “Brawl in the Family is a comic strip centering on Kirby and by extension, many famous Nintendo characters that have appeared in the Smash Bros games. There are cameos from other titles as well. The strip began as a series of doodles during one of my many art history classes in college. I was bored one night and doodled up six comics, then put them online on a message board on IGN. From there, people seemed to enjoy them, so I put them up at a few other locations, such as Game FAQs. It began as a comic about the Kirby characters, but once I added the Smash Bros cast (and Kirby’s interaction with them), the scope of the strip expanded significantly. The comics happened to be so popular that Matthew was able to collect $ 276,502 on Kickstarter (November, 2014) for publishing books with his comics. The deck: 52 playing cards + 2 different Jokers. Poker size. All faces of the playing cards are custom. Playing cards were printed on cardboard and have some kind of “embossed finish”. Tuck cases are glossy (slightly). This is a quick drawing from a Polish artist, Judyta Anna Murawska (Fukari). She says that the artwork was “inspired” by boring classes 🙂 This playing card artwork is the one way Ace of Clubs. Taking into account that some “queen of stars” is featured in the card, indices of the Queen of Clubs could be more natural for it. But this is author’s vision. She sees the Ace of Clubs as a dreaming lady – a big admirer of piercing. 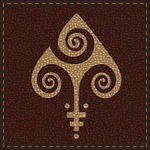 PCF (PlayingCardForum.com), owned by the 52 Plus Joker Club for playing card collectors, started its 2nd Annual deck design competition in collaboration with the Expert Playing Card Company (EPCC). The participant must grant EPCC an exclusive license to print his/her design without royalty beyond the competition prize itself. 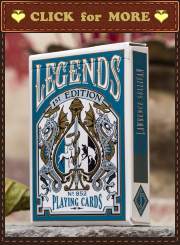 All other decks (EPCC will print extra decks for sale – quantity isn’t limited) will be selling at the Conjuring Arts Research Center’s online store. This four weeks competition started on Wednesday, 17 June 2015 at 04:00 UTC (midnight EDT). If you are interested, you can read the full rules and conditions HERE. Molly Maloney, an Ameriacan artist, has some stories in her mind which provoke her to design playing cards. 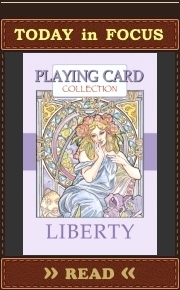 Someday she plans to complete a full deck of playing cards devoted to the several stories. Each suit will tell a separate story. Court cards will be devoted to main characters of appropriate stories. Each number card should be a part of the respective story. Molly named only the story for Diamonds, the story of Kaguya Hime. I guess the full set will force the artist to name all stories. Kaguya Hime (Princess Kaguya), also known as Taketori Monogatari (The Tale of the Bamboo Cutter), is a 10th-century Japanese folktale. It tells the story about the life of a mysterious girl called Kaguya-hime, who was discovered as a baby inside the stalk of a glowing bamboo plant. Two artists from Mexico, Karen & Sara (TheUrbanTeam), designed this Joker. Their inspiration from anime seems obvious. Young ladies made him quite cocky. It’s interesting what he has in his right hand. Anyway, if you even have two aces, don’t hold cards in such way playing any game with people – they can lose their interest to cards and knead their muscles. An Israeli artist, David Kapah, designed this set of playing card artworks devoted to fantasy worlds. Some demons, servants of the Death, ghosts, and cursed warriors were prisoned in one deck of playing cards. A sinister company, but interesting art. Number cards are the worst part of this pack. The back design could be also better. But aces are really stylish.